Book your Custom tour with us! 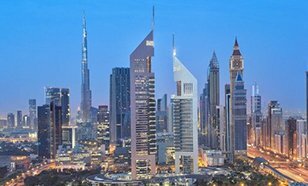 Why Book Dubai Tours with Us? Made of skyscrapers, high rise buildings, and rich cultural heritage Dubai has always been the center of tourism. Visiting Dubai is like stepping into an all-new world and for many, it is a dream come true. We at Tour My India with our premium travel guide help you rediscover Dubai like never before. Established in 2003, the company has successfully helped travellers explore and discover the best of many destinations. 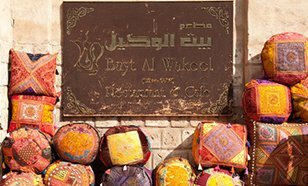 From cultural experiences at Bur Dubai- Deira and the finest luxuries of Abu Dhabi to gold, spice and various other souks, we take complete care of your getaway. Whether you are planning to go on a family getaway, a backpacking trip or simply want a luxurious honeymoon, we create itineraries for you keeping in mind your preferences. 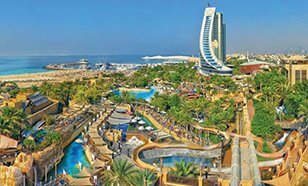 Our team is dedicated to providing you with all kinds of luxury and budget Dubai travel packages and even after that, we are just a phone call away in case you come across any query during your travel. Our tour packages to Dubai will make you experience the world’s biggest suspended aquarium at Dubai Mall, will take you on a 4X4 desert safari ride and will entertain you with other activities like belly dancing, ATV rides or the experience of holding majestic owl in your hand. 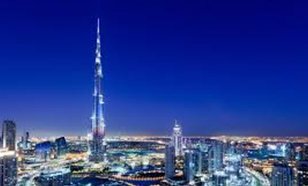 No visit to Dubai is complete without being on the top of the world i.e on the 124th floor of Burj Khalifa where you can enjoy the 360 degrees top view of the mesmerizing city. We understand that organizing your own holiday can be a tiring and tedious task and that is where we come in the picture. Trust us with your trip and we will make you cherish them for your lifetime. Standing tall in its resplendent glory, Burj Khalifa enjoys the status of world’s tallest building, touching the skies at a height of 2716.5 feet. Designed by the architects and designers of Skidmore, Owings & Merrill LLP, the world’s global leaders in creating ultra-tall structures, Burj Khalifa is an epitome of architectural beauty. Located right opposite the stunning Burj Al Arab, ‘Wild Wadi’ is a spectacular water theme park in Dubai. One of the much-loved destinations for both kids and adults, the park is themed around a famous character, Juha, from the Arabian folklore of Sindbad – the Sailor. The park provides a wide array of rides suiting all age groups. The ‘Juha’s Dhow and Lagoon’ is a favourite amongst kids and provides them with a great fun of being soaked under buckets of water every few minutes. Located right in the heart of the ‘Mall of the Emirates’, ‘Ski Dubai’ is one of the favourite hotspots in Dubai for both locals and foreigners who visit here to quench their thirst of playing, rolling and sliding in the snow right in the middle of the harsh desertscape. 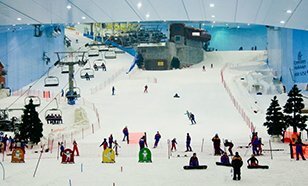 Having to its acclaim, the status of being Middle East’s first indoor ski and snow resorts, the Ski Dubai offers you a splendid skiing experience packed with complete fun and entertainment. Dubai has a sizeable Hindu community and that truly reflects in the narrow and bustling alleyways of the ‘Hindi Lane’, a colourful market dotted with dozens of stalls selling religious paraphernalia such as colourful flower garlands, baskets of fruits, small idols of gods, boxes of incense sticks, bhog and various other items. 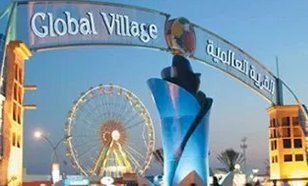 A seasonal attraction that lures millions of tourists from around the globe, the ‘Global Village’ is a perfect destination in UAE to witness a world class gala affair bustling with loads of fun of shopping, rides, carnival games and music concerts. The village is set up every year starting in November and lasting up to March or April. Located on the Sheikh Zayed Road, the ‘Emirates Towers’ stand tall dominating the azure skyline of Dubai. This pair of slender triangular skyscrapers forms one of the most luxurious building complexes in the city, housing a business centre, a luxury business hotel and a shopping complex. 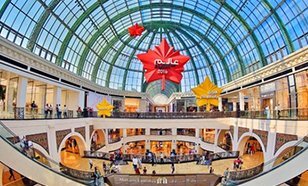 Opened in 2005, the ‘Mall of the Emirates’ is one of the biggest shopping complexes in Emirates, replete with hundreds of international luxury stores, retail outlets and Michelin-starred restaurants. This mall is no ordinary mall but, is in fact a shopping resort where you can indulge in shopping, dining and entertainment under one roof. 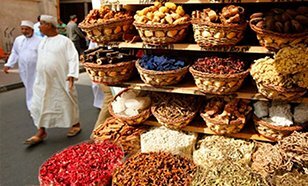 Spice market or ‘Spice Souk’ of Dubai is one of the most popular tourist attractions in the Dubai, sitting just next to the famous Gold Souk. The busy alleyways of this historical market are always filled with sharp and pungent aromas of spices spilling out on the narrow streets; you would not need a signboard to tell whether you have reached the right place or not, the spicy smell and fragrance filled in the air would itself indicate your senses of the location being correct. 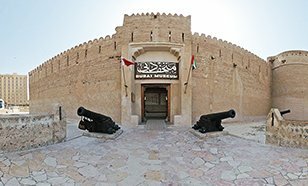 A walk through the museum will give you an insight into the early life of Dubai, with displays of different types of potteries, weapons and other memorabilia of the olden times. The outer courtyard of the museum is dotted with bronze cannons that were used during wars in the days gone by. 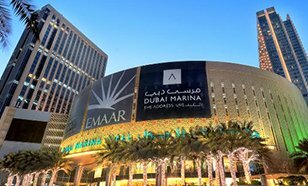 Considered to be largest shopping complexes in the world by total area, the ‘Dubai Mall’ is spread across a sprawling area of 440000 square feet and you cannot even name a single luxury brand in the world that doesn’t find itself a place here. The endless boulevards of the mall, lined up with elite brand names are enough to spoil the shopping aficionados with infinite choices and varieties of clothes, cosmetics, accessories, electronics and what not. One of the most sought-after tourist attractions in Dubai, the ‘Dubai Ice Rink’ is an entertainment arena unique in itself. 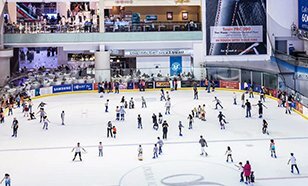 Located inside the plush Dubai Mall, the venue is dotted with an Olympic-sized Ice Rink that provides a perfect setting for both, professionals and amateurs to indulge in the thrills of ice skating. Considered to be the world’s largest choreographed fountain, ‘The Dubai Fountain’ is the iconic attraction of the city and for sure, a ‘must see’ during your trip to Dubai. 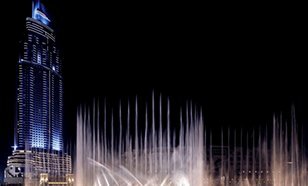 Set on the beautiful ‘Burj Lake’ that spreads over an area of 24 acres just outside the Dubai Mall, the fountain has been designed to jet 22,000 gallons of water up to a height of 450 ft. 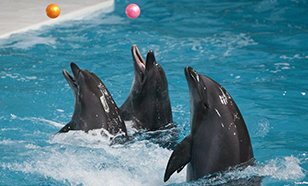 Located in the Creekside Park at Bur Dubai, ‘Dubai Dolphinarium’ is an indoor dolphinarium where people can watch the friendly Black Sea Bottlenose Dolphins and Northern Fur Seals display different fun acts. Spread across 54,000 square feet of area, the dolphinarium has a large indoor pool and an air-conditioned arena with a seating capacity of around 1250 people. Located along the shores of the creek of Dubai, the ‘Dubai Creek Park’ holds the status of being the oldest and most popular park of the city. Dotted with greenery and natural trails, the park is visited by many localities to enjoy early morning walks, jogging and exercising sessions. 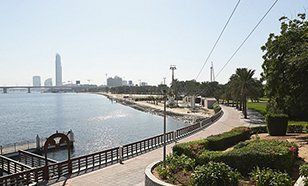 Replete with serene surroundings and offering great views of the creek, this park is also a favourite picnic spot for Emiratis who often visit here for bar-be-que parties. Dubai’s most luxurious hotel, ‘Burj Al Arab Jumeirah’ stands tall in its pristine glory, touching the skies in the middle of an artificially created island. Needless to say, the shape of the hotel resembling the sail of a yacht, has today become synonymous with the name of the country. 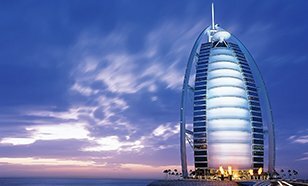 Having to its acclaim, the status of being world’s third tallest hotel, Burj Al Arab provides unparalleled world class luxury services, facilities and hospitality to all its guests. 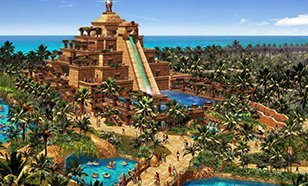 Considered to be the best waterpark in Dubai, Aquaventure is a part of Atlantis The Palm, one of the finest luxury resorts sitting on Palm Jumeirah. Spread across a sprawling area of 42 acres, the park is built on the theme of an ancient desert kingdom with stone towers and pyramids scattered across the area. Let us find you the right flight for the right price.